In 2005 or so (I think), in its top graphic, Protozoic featured a Hallucigenia, a monster, and maybe a koala bear wearing a Pepsi shirt. Pete’s blog, Starship Graveyard, just reminded me of the strange creature. 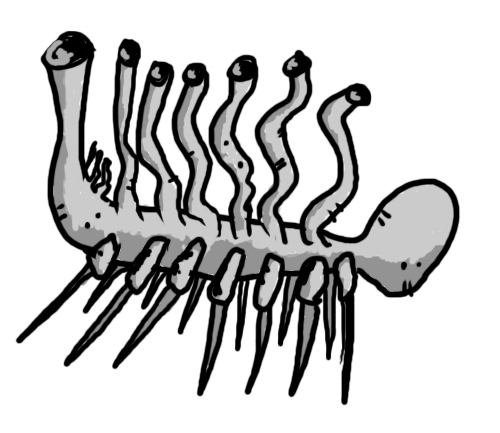 Below is a picture of the Hallucigenia design that once dwelled here on Protozoic.